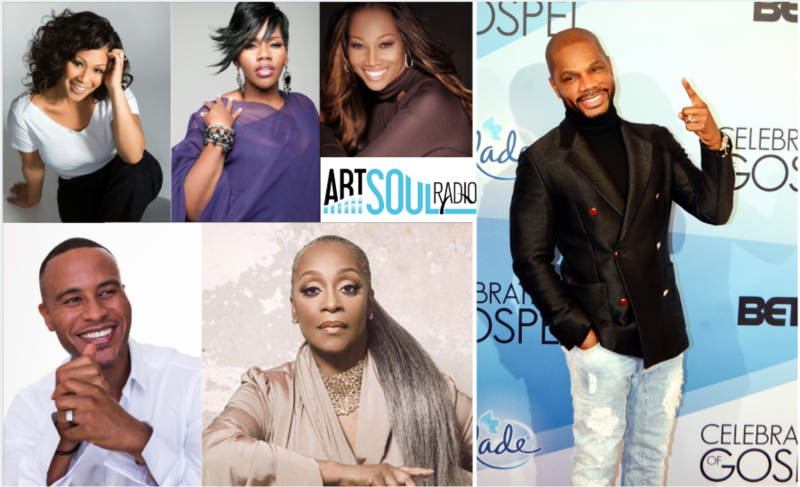 Stellar Awards Prepares All Star Tribute to Aretha Franklin + More! 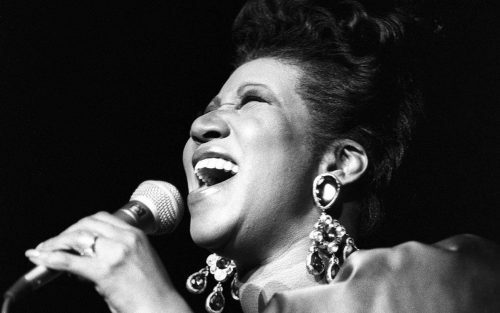 March 12, 2019 (CHICAGO) – Central City Productions today announced a sensational line-up of performers and presenters for The 34th Annual Stellar Gospel Music Awards presented by AT&T, including a posthumous tribute to the undisputed Queen of Soul, Aretha Franklin. The exhilarating all-star tribute performance by Kelly Price, Regina Belle and Erica Campbell will be followed by a presentation of the Aretha Franklin ICON Award. Gospel prince, Kirk Franklin, will return to host the live show taping at Las Vegas’ Orleans Arena on Friday, March 29, 2019. As an added bonus to the night, for the first time since 2005, The Stellar Awards telecast will premiere on BET on Friday, April 19 at 8 p.m. ET/7 p.m. CT and again at 10 p.m. ET/9 p.m. CT. The biggest night in gospel music will also feature rousing performances by Brian Courtney Wilson, Charles Jenkins, Jekalyn Carr, Jonathan McReynolds, Kelontae Gavin, Koryn Hawthorne, Maranda Curtis and Todd Dulaney. Stellar Awards Executive Producer and Founder, Don Jackson shared, “It was 35 years ago when Aretha performed ‘Precious Lord’ on my very first Gospel Music television special ‘Living the Dream.’ In recognition of Aretha’s roots in Gospel Music and her continuing love for the genre, I am delighted that our executive committee agreed to present her with our ICON Award posthumously and continue to present the award forever in her name as the Aretha Franklin ICON Award.” Among this year’s presenters are Anthony Brown, Yolanda Adams, Dr. Bobby Jones, DeVon Franklin, Janice Gaines and JJ Hairston. 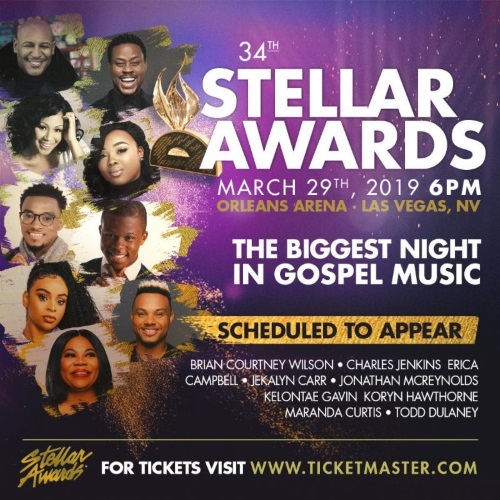 As previously announced, The Stellar Awards nominees with multiple nominations include Jonathan McReynolds, Maranda Curtis, Todd Dulaney, Jekalyn Carr, Koryn Hawthorne, Snoop Dogg, Tori Kelly, Bishop Noel Jones & City of Refuge Sanctuary Choir, Jarell Smalls and Company, Kelontae Gavin and Tasha PageLockhart. This year’s Stellar Awards will recognize gospel music royalty who have made substantial contributions to the genre with special honors. The Stellar Awards show taping is open to the public, with ticket prices ranging from $50 – $200 at www.ticketmaster.com. 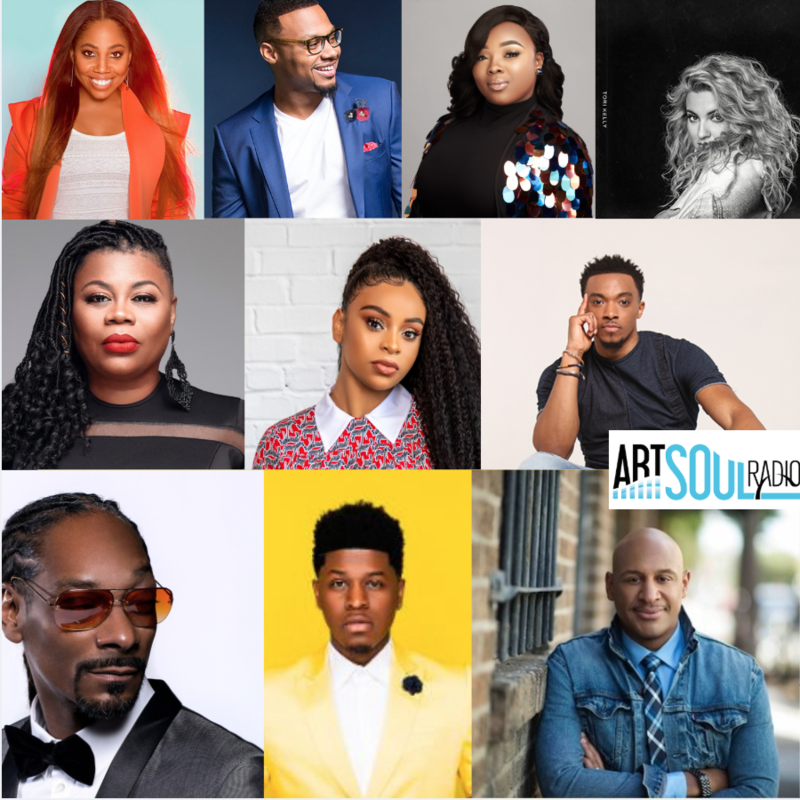 The show’s star-studded red-carpet Live Stream Show will be hosted by Deitrick Haddon and Goo Goo Atkins, and the newly popular Emerging Artist stage will showcase performances by DOE, Jabari Johnson and Will McMillan. Stellar Awards week lights up Las Vegas with several pre-show festivities, including the Independent Artist Showcase at 6 p.m. PT on Wednesday, March 27 at the Orleans Showroom hosted by comedian Akintunde and Jessica Reedy. In addition to the competition with artists new to the industry, the show will feature performances by Earnest Pugh, Sir the Baptist and Shelby 5. Thursday, March 28, kicks off at 9:30am PT with The Stellar Academy series of masterclass executive panels with Don Jackson, DeVon Franklin, Donald Lawrence, Rodney “Darkchild” Jerkins and celebrity stylist J. Bolin. The Stellar Gospel Music Awards Pre-Show hosted by Charles Jenkins and Lexi takes place Thursday, March 28 at 7 p.m. PT at the Orleans Showroom. The top-tier line-up of performances include: Casey J, VaShawn Mitchell, Isabel Davis, William Murphy, Benita Jones, Vincent Tharpe and Kenosis, The Wardlaw Brothers, Ella Michaels, Keion D. Henderson, Fresh Start Worship and Dexter Walker and Zion Movement. Quartet legends, The Sensational Nightingales, will be honored with the Thomas A. Dorsey Most Notable Achievement Award. The celebration carries into the night with Aaron Arrington’s Midnight Gospel Bowl featuring a performance by Vanessa Bell Armstrong and more at 11:30 p.m. PT at the Orleans Bowling Center. The Stellar Gospel Radio Awards & Showcase will be held prior to the Main Event on Friday, March 29 at 10 a.m. PT, honoring the most outstanding radio stations and announcers who serve urban gospel music audiences. This show is jampacked with moving performances by Anthony Brown, Chrystal Rucker, Isaiah Templeton, Evelyn Turrentine, DJ Dwight Stone, Emcee N.I.C.E., Miz Tiffany, Jor’Dan Armstrong, The McDonald Sisters, Brent Jones and The Waco Community Choir. The event, hosted by Byron Cage and Janice Gaines, is the perfect pre-show kickoff prior to the taping. Tickets for each event can be purchased at www.ticketmaster.com. More of the biggest names in gospel and a few additional surprises are being added to the growing list of top performers and presenters appearing in this year’s show. For more information visit us at www.thestellarawards.com and on social media @thestellars. Be sure to subscribe to The Stellar Awards all-new YouTube channel and follow us on social media for the latest news and updates about the biggest night in gospel! The Stellar Gospel Music Awards show is Executive Produced by Don Jackson, with Jennifer J. Jackson serving as Executive in Charge of Production. Michael A. Johnson will produce and direct this year’s award show.